When it comes to food cravings, people often think of expectant mothers eating a dish of pickles and ice cream. But pregnant or not, everyone has food cravings from time to time. While it could be a mental or emotional thing, more often than not, food cravings indicate that your body is lacking in some key nutrient. 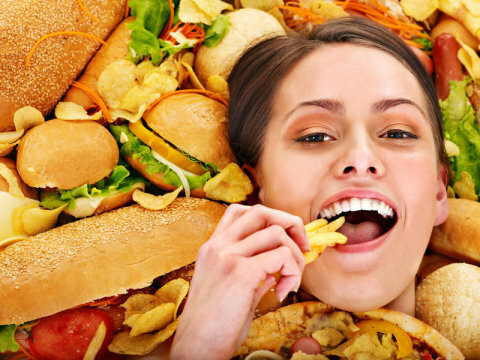 If you’re curious about what you food cravings really mean, read on. What it means: We all know how satisfying a piece of chocolate is. Those yummy Dove bars or Hershey’s Kisses contain the chemical phenyl ethylamine (PEA), which acts as a feel-good neurotransmitter. In fact, eating chocolate provides the same feeling as being in love. Chocolate is also high in magnesium. So if you want that chocolaty fix, you could either be low on love or magnesium. What it means: Can’t get enough of those pretzels and potato chips? If you crave the salty stuff, ask yourself if you’re under any stress. Salt cravings are usually a sign of adrenal weakness. Your adrenals in charge of your “fight or flight” or stress response. To help boost your adrenals increase foods rich in B vitamins like avocados, beans and whole grains. Craving ice cream or dairy? If that pint of chocolate chip cookie dough ice cream constantly calls your name, you could be stressed and/or depressed. Ice cream and other dairy foods are comforting. Dairy contains L-tryptophan, which triggers the production of serotonin, one of the feel good hormones. Instead of consuming the calories, try exercise or healthy sun exposure to boost your mood. If your craving fatty foods, chances are your body needs good fats. Fats are essential to many bodily functions and we need fat to survive. Rather than go for unhealthy greasy and fatty foods, boost your Omega 3’s through supplementation or by eating avocados and fish. If one cup o’ joe in the morning isn’t cutting it and you need more and more, you might be lacking in iron, phosphorus or sulfur. You may also be lacking adequate sleep. To combat all these deficiencies, add more of the following to your diet: meat, seafood, eggs, nuts, garlic, onion and cruciferous vegetables. And catch some more Zzzz’s too! A glass of wine or beer in moderation is actually good for your health. However if you find yourself imbibing a little too much, you might be suffering from stress or missing out on several nutrients. You could be low in protein, calcium, potassium and glutamine. Make sure your diet includes meat, poultry, fish, nuts, granola, oatmeal, broccoli and plenty of greens. If you’re craving odd things like dirt, clay, chalk or ice you’re not crazy. This is called pica and means you have an iron or mineral deficiency. Load up on dark green leafy veggies, seeds and nuts to help cure the cravings. Most of the time we all try to stay healthy, and lets face it most of the time we all end up not achieving what goals we set ourselves. This as you know is very frustrating and can also act in a negative way, not just to ourselves, but to the people around us as well. Believe me when I say, I know how you feel. I have been there myself, But there is a way to staying healthy, I have found it, and applied it, so I know it works. What ever your age or level of health, there is always room for improvement as they say, and most of all we all have a story to tell, as to why and how we ended up the way we are now. Dont worry I will not bore you with mine, and I am sure you will agree we all know the score dont we! However What I have found is a way to improve myself and perhaps a way for you to? With 3 easy Tips. First and foremost get your mind healthy first, only you know your own mind. So think of the best way to start yourself thinking in a more positive way. This is something you can work at each day and if you really want it to work, then it will. Once you do start to think in a more positive manner you will start to feel better in yourself. Above all dont put worries on your mind which Shouldnt really be there. Most people worry for nothing, because they have allowed their minds to drift into that state. All you need do is tell yourself Hey! Why am I worried Does all of this really matter. You will find that the more you think positively the better you will feel. 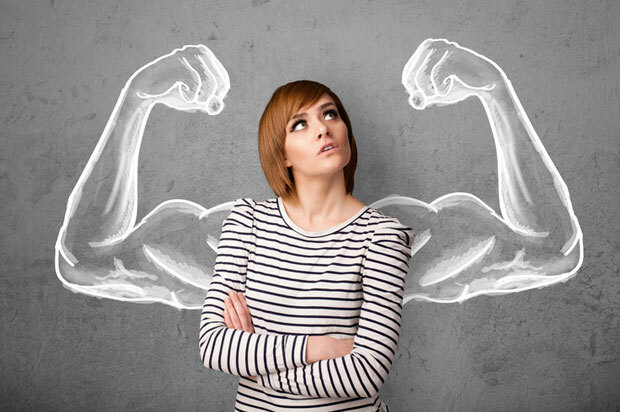 Only you Know what you body is capable of, and now you are thinking in a more positive light, you are ready to take the next step. You know in yourself that you can achieve much more for your body. I know as well as you that we all have our lives to live, and most of the time we fit in what we can when we can. So try the following, what ever your plans for the day, there should be at list 30 mins spare or more during the day to set aside some exercise time. Even if it is just a walk around the block. And dont worry about doing the same exercise each day at the same time, try to vary it each day, what ever makes you feel happy and helps to improve your health is all you need. After all we are not training for the Olympics, so dont feel you have to go down the gym. As the days and weeks go by you will start to feel a lot better. Lots of people talk about our inner spirit, and it has lots of different meanings. The one I am on about is how you actually feel inside. Chances are if yo have followed Tip 1 – 2, you already have achieved tip 3, by feeling better in yourself you probably have already changed the way you eat, it only takes a few changes of what you eat to make a difference to how much better you feel inside, and far be it from me to tell you what you can and cannot eat I know people come from all walks of life, and what we all eat and like is different. My tip is simple (in fact its more Like a statement to acknowledge your judgement) I am sure you are capable of making the right choices. So to sum it all up. Remember You are not alone, there are lots of people out there just like you. And as you progress, your friends and family will see a change in you, and as you progress some of what you are doing will probably rub off on them, and surely that is one of the most important things of all. Staying healthy makes everyone happy. Thanks for reading. Even though they may only be the size of a pencil eraser, mouth ulcers can cause a tremendous amount of pain. They can make even the simplest everyday tasks, like eating and drinking, a complete nightmare. No one really knows the true cause of these sores, but thankfully there are plenty of ways to combat them. Below are the top ten most beneficial and easy ways to get rid of mouth ulcers. 1. Warm Salt Water: Gargling with warm salt water is a proven way to rapidly heal mouth ulcers. It is believed that the salt helps to draw excess moisture out of the ulcer, causing it to shrink and heal more quickly. Add 1 teaspoon of salt to ½ cup of warm water and stir until dissolved. Gargle with the water for about 30 seconds, and then spit it out. Do not swallow it. Repeat until you have used all of the water. Repeat this treatment twice a day until the ulcer is gone. 2. Hydrogen Peroxide: Disinfecting the ulcer with hydrogen peroxide is known to help speed healing. Because researchers believe bacteria is to blame for many cases of mouth ulcers, the peroxide will kill any bacteria present and disinfect the area to help prevent future mouth ulcers from appearing. Mix ¼ cup of 3% hydrogen peroxide with ¼ cup of water. Apply the mixture to the ulcer with a cotton swab. Then, dip a clean swab into the mixture, and hold it on the ulcer for about 30 seconds. Repeat this treatment twice a day. Avoiding acidic food and drinks, such as fruit juices, soda and spicy foods. Chewing 2 to 3 antacid tablets before meals to lower the acid levels in your saliva. 4. Use Mouthwash after Brushing Your Teeth: Mouth ulcers can be caused by an overgrowth of bacteria in your mouth. Always use a mouthwash after brushing to disinfect the area and kill troublesome bacteria. By using mouthwash everyday, even when you do not have an active mouth ulcer, you can prevent ulcers from forming. Using any over the counter mouthwash, swish 2 to 3 times per day for at least a full minute. Always spit out the mouthwash. Never swallow it. If the mouthwash causes a burning sensation, you may swish with liquid Benadryl to help numb the ulcer before using the mouthwash. 5. Use All Natural Toothpaste: Many people are allergic to certain ingredients in regular toothpaste. These ingredients cause constant mouth ulcers. SLS (sodium laureth sulfate) is responsible for giving toothpaste its foaming ability. It serves no beneficial purpose in keeping teeth clean. Always read the ingredient labels on toothpaste. Choose one that does not contain SLS. Switch to an organic, all natural toothpaste to avoid any artificial ingredients. 6. Milk of Magnesia: Milk of Magnesia is used to combat indigestion, and helps to reduce the acidity level in your mouth. This helps to heal mouth ulcers rather quickly. Using a cotton swab, dab a little Milk of Magnesia onto the ulcer 2 to 3 times per day. If you like, you may swish with a mouthful of Milk of Magnesia for a full minute, and then spit it out. 7. Aloe Vera: The fresh juice from the aloe plant can do more than just heal burns. It can also make mouth ulcers disappear. Make sure that you use 100% pure aloe Vera gel or juice, with no other additives. Some store bought gels contain alcohol, which is not suitable for use in the mouth. Cut a 1 inch piece of the leaf off of an aloe plant. Carefully cut the leaf open to expose the gel on the inside. Rub the inside of the leaf over the ulcer, and then hold it there for 30 seconds. Repeat this treatment twice per day. 8. Sage Tea: Sage is useful for more than just flavoring your Thanksgiving stuffing. It makes a highly effective mouthwash to heal mouth ulcers quickly. Add 3 tablespoons of rubbed sage to a cup of hot water. Let the tea steep for 10 minutes. Strain out the leaves, and swish with the tea for a full minute, and then spit it out. 9. Take Your Vitamins: A vitamin deficiency is believed to be a leading cause of mouth ulcers. Make sure you get enough vitamins and minerals in your diet. A deficiency in vitamin B-12 is believed to be the main contributor to mouth ulcers, so eating foods rich in this nutrient can help to heal and prevent future ulcers. Meditating. Just sitting quietly and thinking peaceful thoughts for 15 minutes a day can drastically reduce stress levels. Practice yoga. The gentle breathing techniques used in yoga help to calm nerves and reduce stress. It is a common observation that most of the people take their health for granted, where dental health is the most ignored one, until a severe condition arises. Even in such a case, a local dentist is preferred for a check up, followed by a treatment over a professional help. Sometimes, this habit leads a patient to a worse condition, which can be made better by putting forward a small questionnaire to the dentist. 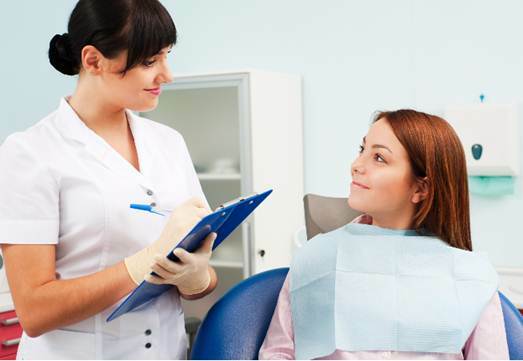 There are a number of benefits of asking a few sensible questions during your visit to the dentist Brisbane for a regular checkup or for any particular treatment. You can avoid extra visits to the dental clinic with a proper advice for a better care, prevent unnecessary expenditure and make sure that you are at the right place. This is the most important question that every patient must get an answer in, before leaving the clinic. It will be necessary to know the cause of the problem to avoid dealing with the same issue in the future, for which, you must tell a complete detail of your dentist Gold Coast regarding activities that you think to be a possible cause. With a proper detail, a dentist can assess your dental health in a proper manner and let you know the reason that triggered the condition. Every person is not known to different terms and salutations used in the medical field, due to which, the specialty of a dentist might not be clear to all the visitors. If you have any doubt about a dentist’s specialtyand to ensure that you are at the right place to get treated for your dental problem, you must inquire the dentist properly regarding his/her education, experience, track record and other related queries. There are cases, when a dentist Gold Coastoffers a poor service to a patient, which is probably caused by the lack of proper knowledge, only to make some money that can be avoided with a complete knowledge of the dentist’s area of expertise. There are a number of products offered by dentists to their patients, after a complete treatment. As the different products suit different needsof patients, you must ask about the need of products offered to make sure that you a product that is best for your teeth. Thus, with all the important questions answered by your dentist Brisbane, you can ensure a better dental health for you. If I ask what is the key to a healthy body and soul? The answers will be more or less similar like – eat healthy, sleep better, do exercise etc. Even if anyone wants to follow the rules to ensure a better health, surely boredom and monotonous activities will do the reverse actually. It is always a good habit to hug the changes in everyday life. Bring some twists with these following fun tips and maintain a happy-health. Don’t limit yourself only within walking, yoga only. Cardios are a fun way to play while exercising. Cardio workouts include running, jogging, swimming, cycling etc. Try to perform any of these activities every day. You can run for 15 minutes or swim for 10 minutes. 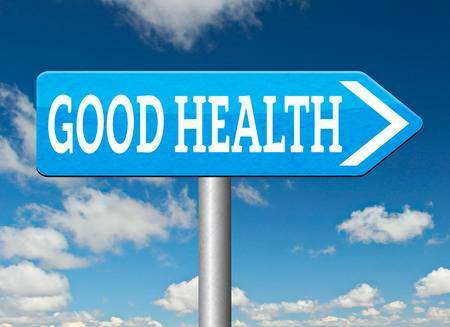 They both are equally effective to keep you healthy. Start your workouts slowly. Don’t ever think of overdoing anything. It will become a constraint to your fitness. Try running for 10 minutes in the beginning. If you are a newbie, slowly increase the amount of exercising. Making a routine or sticking to a schedule will help you to complete your workout session every day at the right time. Besides, sticking to the schedule can also help you to regulate your other routines nd activities of the day. Don’t be systematic; try to enjoy your every workout session. Feeling lonely? Try to make some friends at the gym or make some schedule to go to the gym with your buddies. Tune in your favorite songs on your iPod and start running on treadmills. Listening to your favorite music while jogging or running is really helpful to make every running session fun and enjoyable. Missing working out at the gym? Do your household chores instead. Cleaning the living room, emptying the trash, cleaning the lawn etc. also considered as a great way of working out . Try to use stairs instead of lift. Avoid taxi or bus if you are going to a short distant place. If you are a newbie, do not start heavy workouts without proper knowledge. Seek for a professional trainer to understand your working out session better. Wrong exercise and overdoing can do the reverse only. While working out, your motivation should always be to push your limits. But while doing this do not overlook relaxing. Take breaks frequently while working out. To see the results, you will have to patient. 8. Stay hydrated Drink a lot of water in order to stay hydrated. It will also ease your hunger. Drink more water than usual when you are exercising. Dehydrated body can welcome other long term health problems. Besides, proper hydration ensures a healthy skin too. Find the right food for your diet. Always keep the nutritious foods in your everyday meal. Include iron rich foods, vitamins and minerals more and more. Don’t eat ice cream or other heavy foods at before going bed. Always keep a variety in your everyday diet. You really need to stop emotional eating. Eating when you are angry, stressed or sad is called emotional eating. Always eat when you really feel hungry. After a 8 to 10 hours sleep, our body becomes weak in the morning. So the first thing we all should do is to ensure a healthy breakfast. Fuel up your body by eating fiber and protein enriched breakfast every morning. To lose weight never skip your breakfast. Not eating breakfast will kill your body’s ability to burn calories. Eat a small amount of food, but try eating it for several times a day instead of eating only 3 times. Having small portions of meal for several times will keep the metabolism rate faster and do not let us feel starved. Avoid salt, chocolate, ice cream, cookies, grilled food and oil. These increases the fat in our body and also causes problems like obesity, high blood pressure etc.